Nice progress. Those two curved tubes were fun - nice blend work. Definitely behind on the build and updates on here. 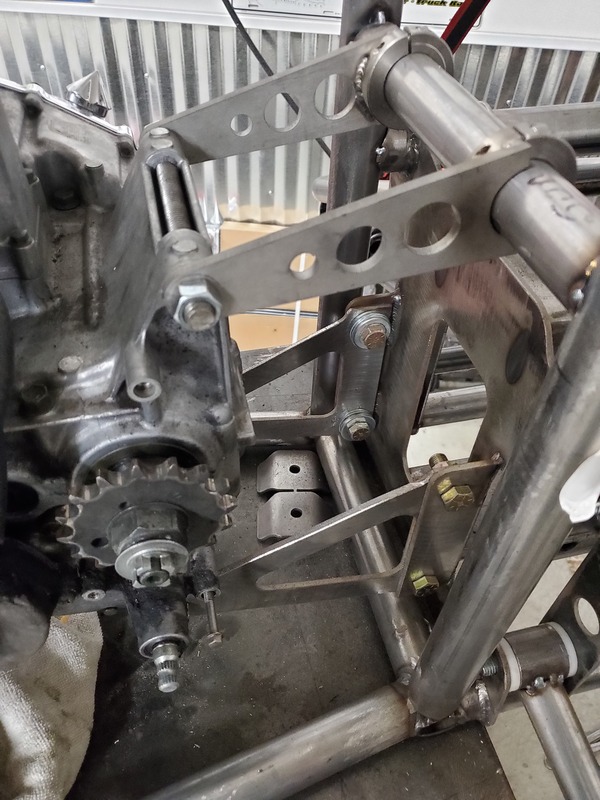 Well, my engine is 50% mounted, my exhaust is done, arms are tacked together and fit up, cage is being rolled today! I will have to notch my chassis as the lower arms in full droop are hitting. The lower arms will be getting shock tabs this week as well. She is getting heavy. LOL By the end of the week, I should have the chassis complete. The traveler returns home to his abandoned and lonely mistress!! CAGE! Finally I took a day off in the middle of the week to where there was no distractions to deal with. It was 60*, no kids, no wife, just me and the garage. I had my buddy at Griffen Fabworks roll my cage hoop. I gave them extra material on each end to work with and man, i'm glad I did. 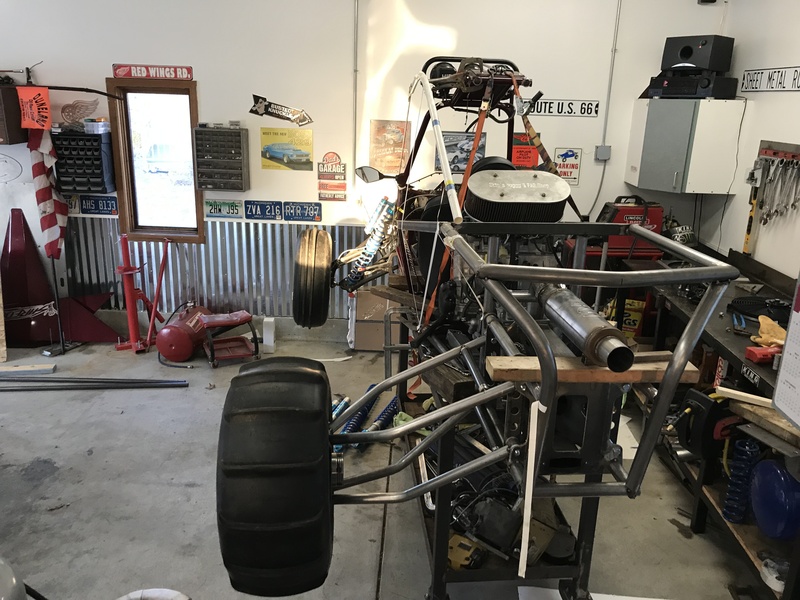 My initial thought was to have the back tube land in between the upper coilover mount and the upper bypass mount but when I set the tube up in place, I really liked how it looked all the way to the back of the car. So 8 hours later I had this! I will be adding 2 bars that will go from the A-pilar to the nose of the car. They will have a 40* or so bend close to the nose. That is this weekends plan, as well as the last motor mounts. 8 hrs to fit a few tubes? Yup! Nobody gets just how long this stuff actually takes. I got some more steel for the front of the car. Proportionately it needed some more to it. I think it turned out looking pretty cool. The new dash bar is the same height as the sheet metal kicker I had on my old hood piece so my visibility will be the same, actually better as my seat is up an inch and a half. I got some really light 3/4"-ish tubing that i bent up so that the aluminum side panels had somewhere to bolt to. Seems I will be getting in and out of the car, I would probably bend the panels if there was nothing there. I started to layout the sheet metal panels in poster board. So far, I am liking what i'm seeing. I made a firewall of sorts on the bulkhead behind the engine. I will line it with some sort of heat resistant material. Probably some of that Boom Mat, as that worked really good on my last set up. The fuel cell will be in that open area behind the engine. I think I calculated it to be around 7 gallons.